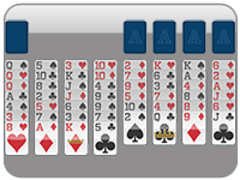 Freecell just got a whole lot cooler with our introduction of the new autofill feature! 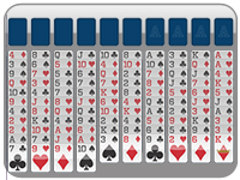 Now, you can play your favorite solitaire card game without the need for all that clicking: when this puzzle game is over, you'll know it when you see the gratifying animation of all your cards magically transporting themselves from the tableau (or free cells) into the four foundations in the top-right. How does this fascinating feature work? Simple. No matter what, if you have an "Ace" card exposed, you want to get it into the foundations--because nothing can be placed on top of it (it's the lowest value card). 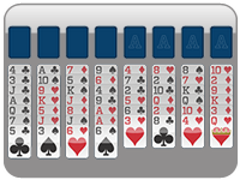 Similarly, if you find a "2" card (and you already have its prerequisite Ace card in one of the foundations), you'll want to place it into the foundation as well, because only aces can be placed onto it (and we've already discussed where those should be). 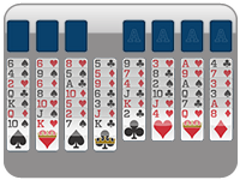 But from there, freecell fans, it gets a little more complicated. 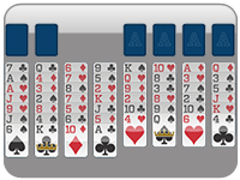 You will only want to place a "3" card into the foundations if ALL "2" cards are already in there (because you may want to place a 2 onto that 3 in the tableau). Similarly, you will only want to placea a "4" if all the "3's" are in there...and likewise all the way up to the king. 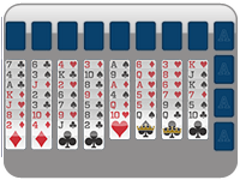 So, long solitaire story short, a card (with number "N") is placed into the foundations only when ALL prerequisite cards (with number "N-1") are first placed into the foundations. Pretty neat, huh? 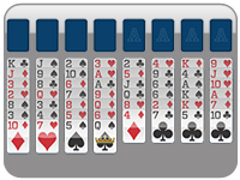 More freecell solitaire updates are coming soon, so stay tuned!